At Something Better Corporation we are always looking for ways to improve and best serve YOU! Our forever goal is to be able to offer Families Freedom! Freedom from the rat race of having to make ends meet and missing out on Valuable Family Time. 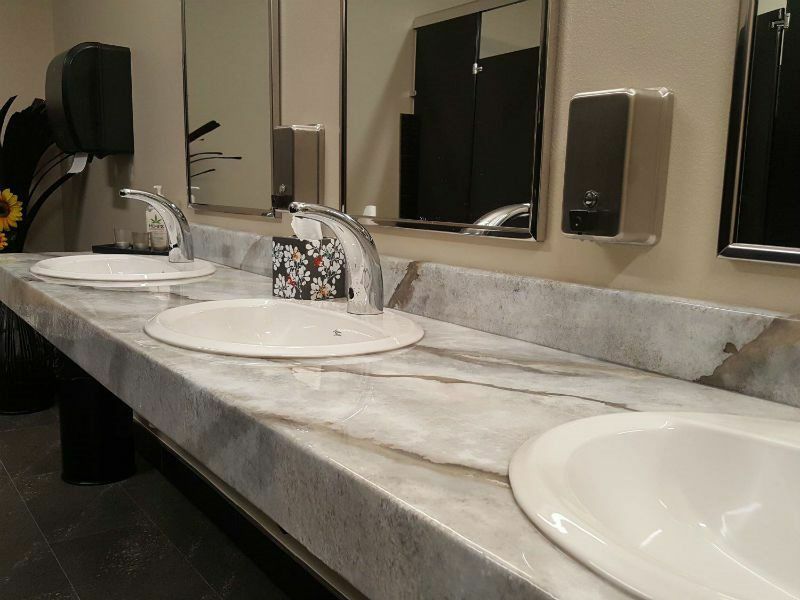 Time - Once Used Up, "IT'S GONE FOREVER" SBC Provides the Best Innovative Training In Decorative Concrete Countertops, Concrete Flooring, Concrete Sinks, Water Walls, Concrete Wood Designs, Concrete Wall Art, Vertical Concrete and training in our Award Winning Concrete Panel System. UNIQUE DECORATIVE CONCRETE TOOLS, DESIGNED FOR CUSTOM WORK FOR YOUR CLIENTS. 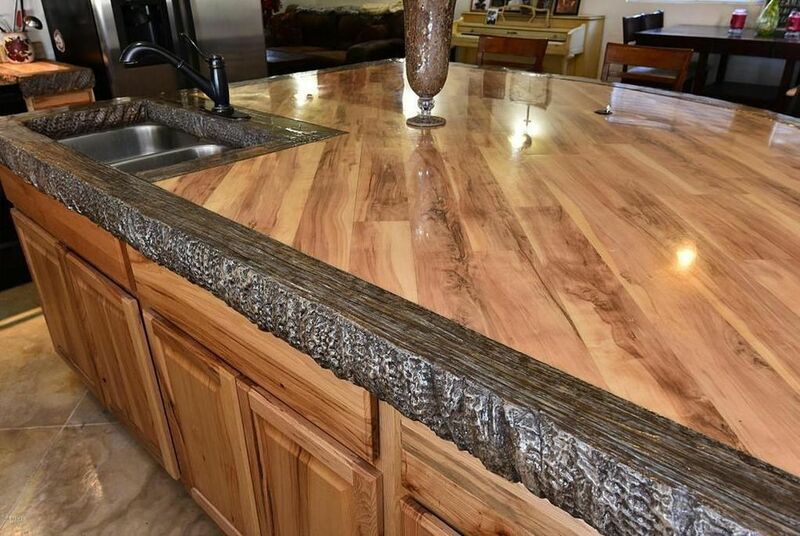 Best Training In Concrete Countertops, Concrete Flooring, Sinks, Water Walls, & So Much More! Your Credit Will Not Be Affected! FUNDING IS FAST & EASY! Hire Bryan & Co after your initial training for ongoing training while completing your first jobs. Complete the higher paying jobs with confidence or simply invest in training your All Star Team to go after the higher paying High End Jobs or efficiently up your production of manufacturing Concrete Goods. Easy financing is available as well. The last time we provided this service to our students, it landed them a job over 100k , very profitable for such a small fee to have a coach help set your pace and start you off Right on the paths of lasting success!!! Call for details, daily rate, housing and travel. teach SBC DIY Classes - Your Commissions? 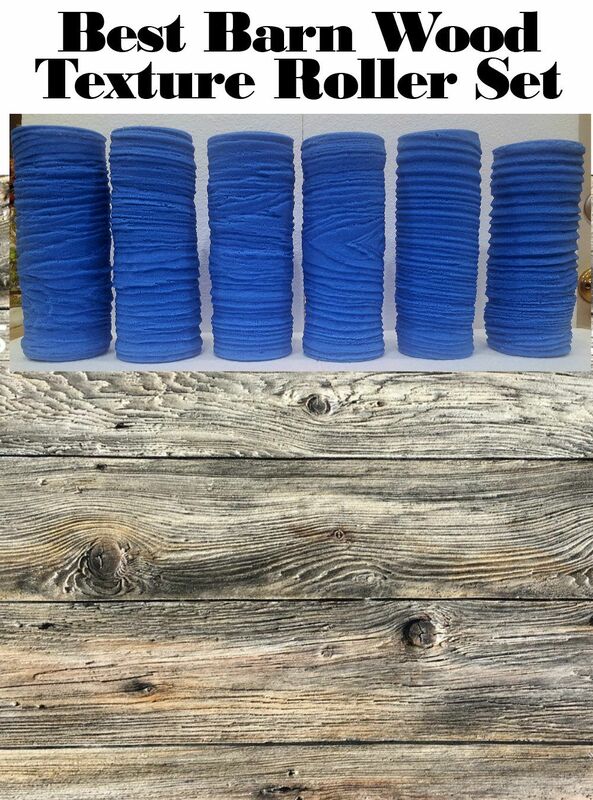 90% Of Training Fees & Molds Purchased. As experts in our field and leaders in our industry, we’re committed to upholding the highest standard of service for all our clients. Now you can join SBC in providing DIY Individuals, in your area, with the know-how & skills they need to complete their next Home Project and Future Projects! If you LOVE People & feel you have a gift to lead, guide and train, this could be a GREAT Career Fit For YOU! 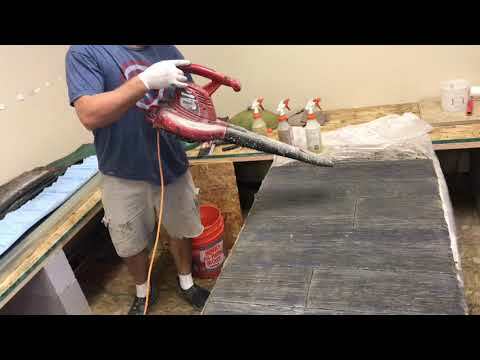 SBC will train you to be one of our Local DIY Training Coaches (we will provide training videos for you to play on a big screen TV during your classes) and train you to manufacture our Award Winning Decorative Concrete Texture Tools & Molds to provide to your local DIY Clients. NO Experience Necessary, We Will Fully Train You & Equip You! As experts in our field and leaders in our industry, we’re committed to upholding the highest standard of training & service for all our students & customers. This course is for "ANYONE" Especially DIY, Homeowner Projects & Those who cannot travel to Arizona to take a hands-on class. Training is approximately 9 1/2 hours of excellent thorough video training. After viewing all of the training you can then purchase materials to practice and complete your projects. $200.00 OFF, IF you regisgter by the end of this week! PLUS, your Membership Fee Is Waived Until July. At Every Single Class We take the time to get to know our students, with the intent to build a long lasting relationship for years to come! Ensuring quality support to fit exactly what you need. 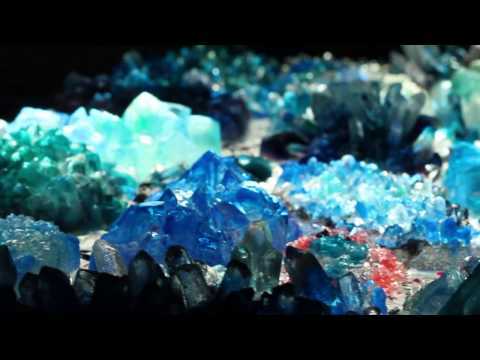 WATCH THIS EXCITING VIDEO & SEE HOW FUN THE CLASS IS! Concrete Countertops, Concrete Sinks, Concrete Overlays for Floors and Patios, Concrete Wall Art, Concrete Wood Designs, Concrete Water Features, Kitchen Cabinet Refacing with Concrete, Faux Rock Carving, Vertical Concrete, Concrete Wall Siding, Backsplashes and SO Much More! Our Family owned & operated company has a primary focus of offering realistic & affordable business opportunities for Families and Individuals. WHAT DO STUDENTS & CUSTOMERS HAVE TO SAY? Do YOU Provide Decorative Concrete Products and/or Services? List Your Services FREE For 90 Days! Providing the Best Contracting Services in Decorative Concrete in Lubbock Texas! Shay Kindle, Owner, Creator, Designer & Contractor is hands-down one of the BEST and Most Talented In the Decorative Concrete Industry! Shay Kindle is a Licensed Manufacture of most all of SBC Decorative Concrete Products. 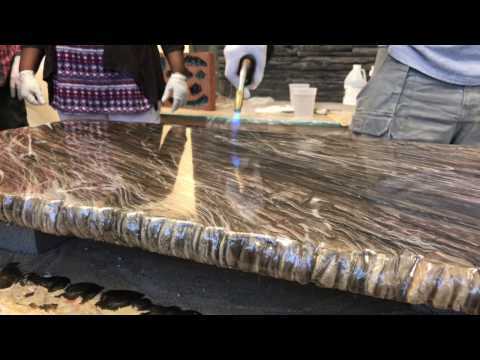 If you desire High-End Custom, One-Of-A-Kind Concrete Countertops, Sinks, Outdoor Kitchens, Back Splash Panels for Kitchens - Bathrooms - Showers - Fireplace Designs - Outdoor Pillars - Wall Designs, Arrow Concrete & Stone is the Company To Choose in Lubbock Texas for all of your decorative concrete needs. 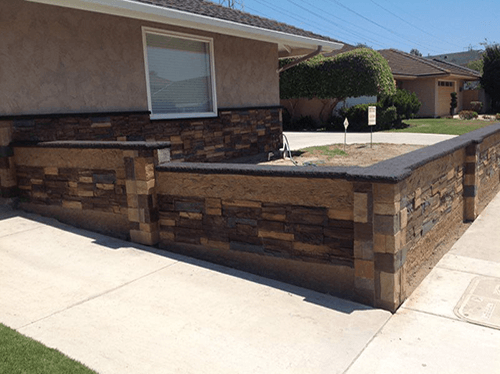 Don Hansen Enterprises is a full service concrete and decorative concrete construction company established in 1963. 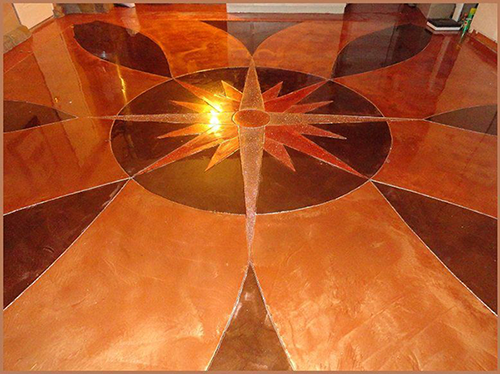 They specialize in concrete stamping and coloring of existing concrete. Don Hansen Is An Advanced Licensed Manufacturer of All SBC Products! They offer the BEST Decorative Concrete Products and provide outstanding workmanship! As a small business, Don Hansen Enterprises focuses entirely on the special needs of each customer. Whether you require a simple concrete patio or an odd-sized design to fit an awkward alcove, you can be assured that the finished item will always meet your needs. Each job is approached with our 53 years of experience. J.A.B. offers the Best Contracting Services, we take your projects to heart and work closely with you until you acquire exactly what YOU want! Contracting Services includes: High-End Decorative Concrete Countertops and Backsplash Designs for Kitchen and Bathroom Countertops, Concrete Flooring for Indoors and Outdoors, Metallic Epoxy Flooring, Kitchen and Bathroom Sinks, Unique Water Wall Designs for your Home, Office or Outdoor Living Area, Custom Stone Wall Siding and much more. We not only offer our contracting services, but also consulting services for the DIY'ER who just needs a bit of guidance to get them through the project.